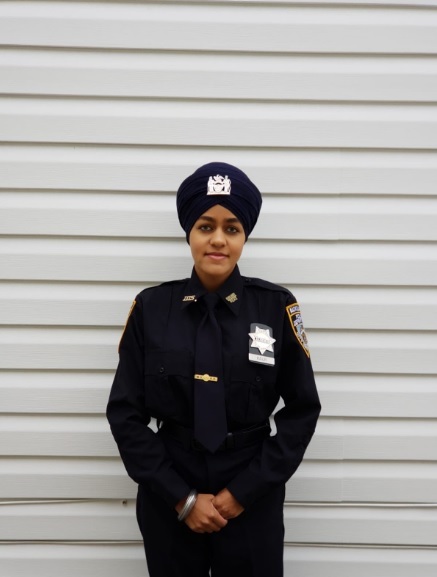 Gursoach kaur is the first female turbaned Sikh Officer in NYPD(New York City Police Dept). Gursoach Kaur is appointed as the APO(Auxiliary Police Officer) of NYPD. Sikh Officers Assoc. broke the news on Twitter about this amazing news. Sikh Officers Assoc. is nation first organization to represent Sikh Officers in Law Enforcement. Earlier, before the end of 2016 - Instead of turbans, Sikhs used to wear Patka under a cap and they were not allowed to grow their beards but after the new rule which rolled on December 2016, Sikhs were allowed to wear turbans and grow their beards up to half an inch long. She looks so smart in that uniform. Congrats Gursoach Kaur! Sir, Our heartiest congratulations to The New York Police deptt as they got a Brilliant Wmn Sikh APO Gursoach Kaur in thr Deptt. Really it's a Good example before d Entire World. We r Sure This Indian based Wmn Sikh APO Gursoach Kaur Will definitely try to Someone more better. Congratulations Gursoach Kaur!! We Too Are Proud Of You. Brilliant job done by NYPD.